Robert Anthony "Bobby" Grich (born January 15, 1949) is an American former professional baseball second baseman who played for the Baltimore Orioles (1970–1976) and California Angels (1977–1986) of Major League Baseball. He currently works in the Angels' front office. Grich was drafted by the Baltimore Orioles in the 1st round (19th pick) of the 1967 Major League Baseball Draft. He made his debut with Baltimore midway through the 1970 season. Later that season, the Orioles defeated the Cincinnati Reds to win the World Series. Between 1969 and 1974, the Orioles featured a loaded roster that resulted in the team winning won five of six of AL East Division titles. Grich's emergence was blocked by incumbent second baseman Davey Johnson, but the Orioles thought highly of Grich and traded Johnson to the Braves following the 1972 season. In 1973, Grich set an all-time major league fielding record with a .995 fielding percentage, and 12 seasons later in 1985, he broke the record again (.997). He won four consecutive Gold Glove Awards and made the American League All-Star squad six times. He was an excellent fielder, with good range, soft hands, and a good arm, and he was steady turning the double play. 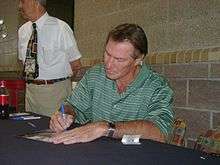 Grich became a free agent following the 1976 season and signed a multi-year contract with the California Angels. He batted .294 in 1979, adding 30 homers and 101 RBI. In the strike-shortened 1981 season, Grich tied the lead in home runs (22, along with Tony Armas, Dwight Evans, and Eddie Murray), led in slugging average (.543), and hit a career-high .304. While with the Orioles, Grich appeared in the World Series in 1970 and 1971 and played in the American League Championship Series (ALCS) in 1973 and 1974, when Baltimore lost to Oakland. The Angels made their first three postseason appearances during Grich's tenure, losing to the Orioles in the 1979 ALCS and again to the Milwaukee Brewers in 1982. Grich came closest in his final MLB season (1986), when the Angels, leading the ALCS by a 3-1 margin and thus needing just one more win to advance to the World Series, blew a 5-2 lead to the Boston Red Sox in the ninth inning of Game 5, then losing Games 6 and 7 as well. Grich hit a home run in Game 5 that deflected off center fielder Dave Henderson's glove, putting the Angels on top 3-2. But with the Red Sox down to their final strike, Henderson hit a home run to put Boston ahead. In the post-game interviews following Game 7, Grich announced his retirement. Over 17 seasons, Grich batted .266, with 224 home runs, 864 RBI, 1033 runs, 1833 hits, and a .371 on-base percentage in 2008 games. When commenting on his baseball career, he stated: "I was short on talent so I had to be long on intensity." First second baseman to lead AL in home runs since Nap Lajoie (1901) and in either league since Rogers Hornsby (1929). Grich became eligible for the Hall of Fame in 1992. In the BBWAA election, he received eleven votes, or 2.6% of the vote, below the 5% threshold needed to stay on the ballot. He was removed from future BBWAA consideration as such. Using sabermetric statistics there is a compelling case for Grich to be in the Hall of Fame. Grich has the highest (JAWS) Jaffe WAR Score System and career WAR of any second basemen not in the Hall of Fame, and there are more than 10 Hall of Fame second basemen with a lower JAWS. The JAWS statistic is particularly compelling given it incorporates both career and peak year statistics. Similarly, Grich has the most runs of any second basemen not in the Hall, and many inductees have fewer. ↑ "Second Base JAWS Leaders". Baseball-Reference.com.